Epic Eric v1.1 – Epic Eric is a fiendishly addictive, super-simple, one-touch platform puzzle game that delivers that ‘just one more go’ factor in spades. 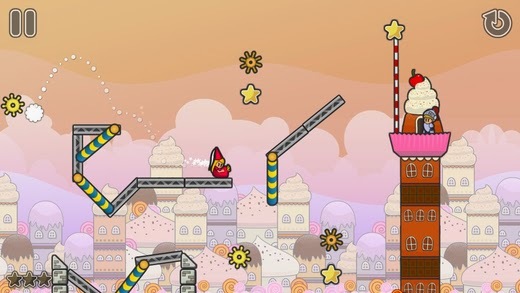 Swing, bounce, flip and slide your way to victory through a series of enchanting levels, each with their own unique challenges. 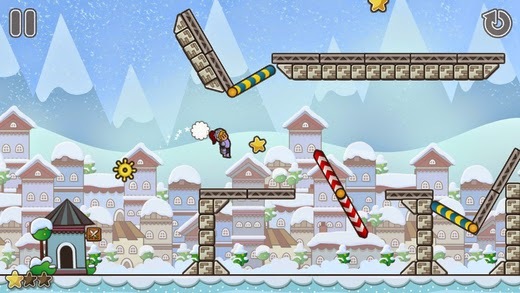 Make your way from one side of each level to the next, grab the stars on your way and slide down the pole to victory. Sounds easy right? Think again! Play as Eric the noble Knight or unleash your inner princess and play as Erica in an epic quest to collect all the stars and rescue your one true love. Featuring beautiful cartoon style graphics, incredible physics and super-simple one touch gameplay, Epic Eric is a fresh new twist on the classic platform genre that’ll have you coming back for more. Have you got what it takes to conquer the cogs? + Even more FREE levels coming soon!